First degrees in Computer Science and Mathematics at the Technion. MSc in Computer Science at the Technion (2007). Ph.D. in Electrical and Computer Engineering at the University of California, San Diego. Participated in the Technion Excellence Program: October 2002 – February 2005. About myself: I was born in Kiryat Shmona in 1980. In 2001, shortly after my army service, I started to study at the Technion and joined the program. 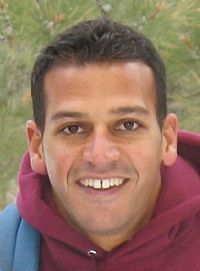 After completing my MSc degree at the Computer Science Department at the Technion, I moved in 2006 to California to do a Ph.D. in Electrical Engineering at the University of California, San Diego. Between 2011-2013, I was a postdoctoral researcher in the Department of Electrical Engineering at the California Institute of Technology and at the Center for Memory and Recording Research at the University of California, San Diego. In 2014, I joined the Computer Science Department at the Technion as a faculty member. My research interests include information and coding theory with applications to non-volatile memories, associative memories, data storage and retrieval, and voting theory. I received the Marconi Society Young Scholar Award in 2009 and the Intel Ph.D. Fellowship in 2011. 1. Take advantage of the program’s lectures in order to be learn about new research areas. 2. Take advanced classes at an early stage of your undergraduate studies in order to be exposed to different research topics. 3. Approach faculty members and show interest in working in their lab on research projects. Today: Eitan is an Assistant Professor at the Computer Science Department at the Technion – Israel Institute of Technology. Hobbies and other activities: I very much enjoy different kind of sports and like being active. In particular, I enjoy surfing and yoga.